The fact that “CIOs are increasingly asked to prioritize growing revenue” isn’t exactly new (you may have noticed the article I just pointed out is from 2016). 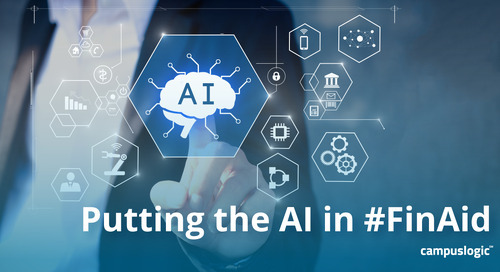 Chief Information Officers (CIOs) at higher education institutions—everyone at the C-suite level—are focused on strategic improvement. The article I referenced earlier states, “Experts say that as technology has improved over the years, CIOs can spend less time making sure systems are working and more time focusing on IT strategies that can benefit the entire company.” Financial Aid Office staffers may read this line and shake their heads. Not because they don’t believe in technological advancements—far from it. But because FinAid Office employees often feel like they have, historically, been left out of a lot of technological advancements. And that needs to change. Another key component of enrollment is retention. The study “The Cost of College Attrition at Four-Year Colleges & Universities,” by Neal Raisman for the Educational Policy Institute, notes that 48% of students who dropped out of school cited their reason for leaving as either “the College doesn’t care,” or “poor service and treatment.” When technology is applied to financial aid processes (to the entire student financial services journey) students get the service they need—and it communicates to students that the school cares about their experience. Technology can be used to make the entire FinAid process easier—providing solutions that streamline the process and self-service tools that allow students to engage whenever and from wherever they want. IT departments can have a direct impact on enrollment growth and retention by upgrading technology in the FinAid Office. Smart solutions that allow for a personalized experience will increase completion rates for FinAid processes, meaning more students can enroll without the worry of how they will pay for their education—and with less confusion over the process requirements, in general. As higher education budgets shrink, CIOs who focus on innovation can help their institutions cut costs. Traditionally, the Financial Aid Office has been one of the last areas of an institution to be upgraded to modern tools that foster optimal student engagement and optimize efficiency in the office. Dedicated FinAid professionals continue to cobble together manual processes and legacy systems to “get the job done,” but this approach can lead to high-cost solutions that actually have low value for students. Technology flips this equation. For those dealing with an enrollment surge, like University of California-Santa Barbara. “Enrollment is fighting for every student they can get,” says Patrick Scott, Director of Financial Aid at Cuesta College. “Packaging awards earlier puts a student ahead of the game, because they can start planning.” Using CampusLogic’s innovative technology, Cuesta has seen a 75% reduction in legwork the FinAid Office put into chasing down necessary student verification documents and information from students. The California-based institution reduced verification processing from 80 days to nine days for verified files. Technology also enabled Cuesta to use e-signature, a huge positive for both parents and students. 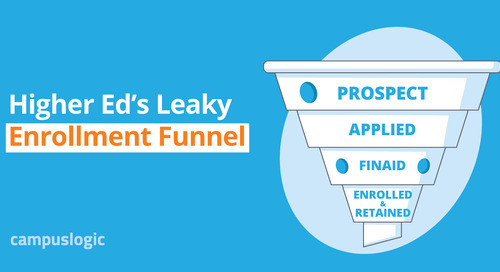 FinAid staff funnels time saved into outreach and default-prevention efforts, and took part in the Second Chance Pell pilot. CIOs, Ask Yourself: What Would You Change in Your Office? Remove administrative burden in the FinAid Office to allow for additional advising of students and parents? Build a more engaging awarding process that takes advantage of mobile and multimedia? How many more students would enroll if their financial aid plan was delivered to them on any device—and engaged them with digital content? Remove the process of completing paper forms to engage with students? Would students’ and parents’ frustrations be reduced? Could your institution actually serve more students with fewer staff resources at the same time? Develop analytics that allows for more targeted enrollment strategies and personalized outreach to expand access to financial aid programs? What changes would be put in place if decisions were based on data and not “feel”? 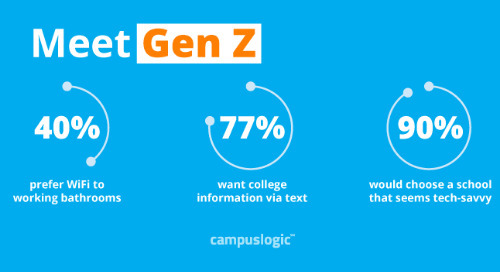 The great thing is, CampusLogic has already done the heavy lifting for you. Our student financial services platform is ready-made to deliver these innovations to your Financial Aid Office, with minimal IT effort or maintenance. Turn your FinAid staff into superheroes: Empower them with technology that transforms the student experience. Your students will thank you, too.